So used to reading casually written novels by upcoming Indian authors in the recent past, that The Golden House was a much needed break from those. The Golden House was definitely not a quick read you can just skim through. There are so many details on each page, to be absorbed. And I am no language expert, so quite a few new words too! I always love novels which include real life incidents, like this book does - Like the terror attacks in Mumbai for instance or election of a new president of America. It makes you relate to the plot more somehow. The story of Nero Golden is one of a kind, all the past history and his and his sons' life is gripping and has such a movie feel to it! I love the first person narrative of the neighbour René as he calls himself, and I think you need to grab a copy and read the book for yourself to know what it all really is about. The rave reviews for this novel is enough to compel anyone to read it. 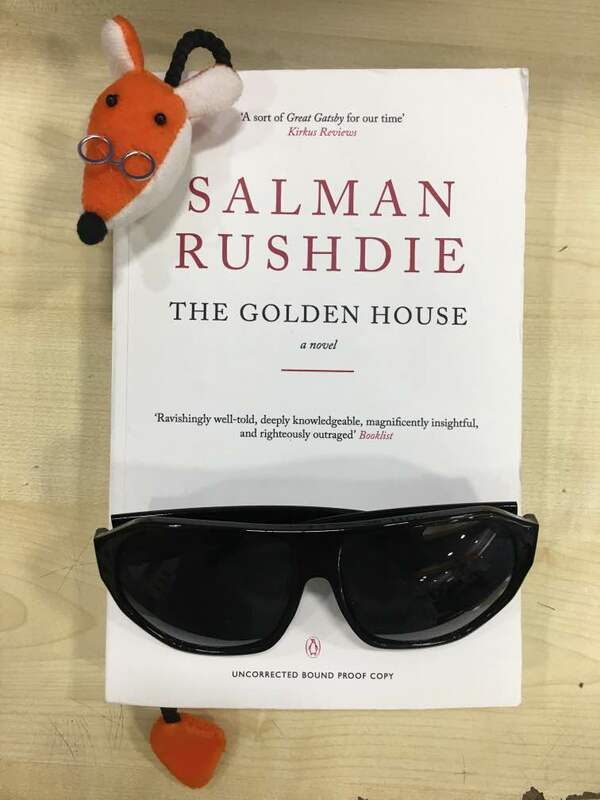 I was one of the lucky ones to receive a copy before the official release of the book, and kudos to Salman Rushdie for this epic saga!